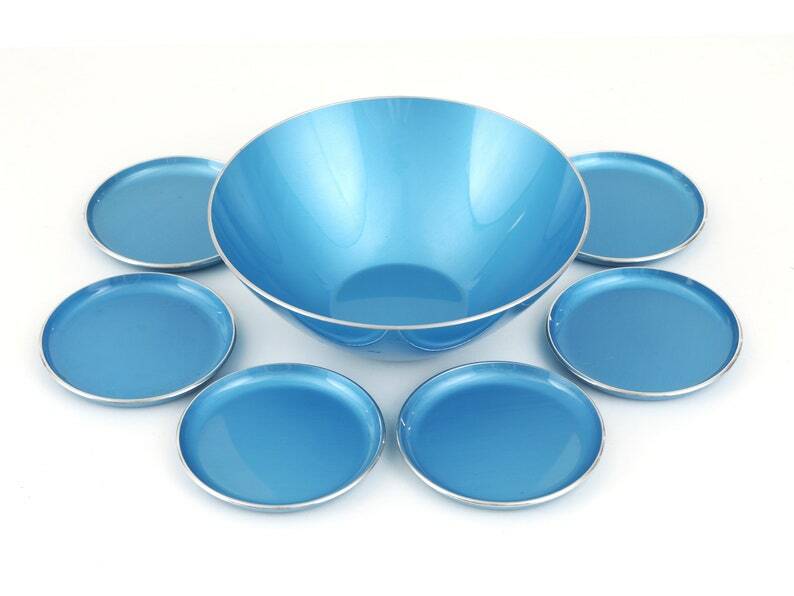 Beautiful set of 6 danish modern enamelware/metal plates. Made in Norway by Emalox. Bright blue with an aluminum silver rim. Overall wonderful condition.